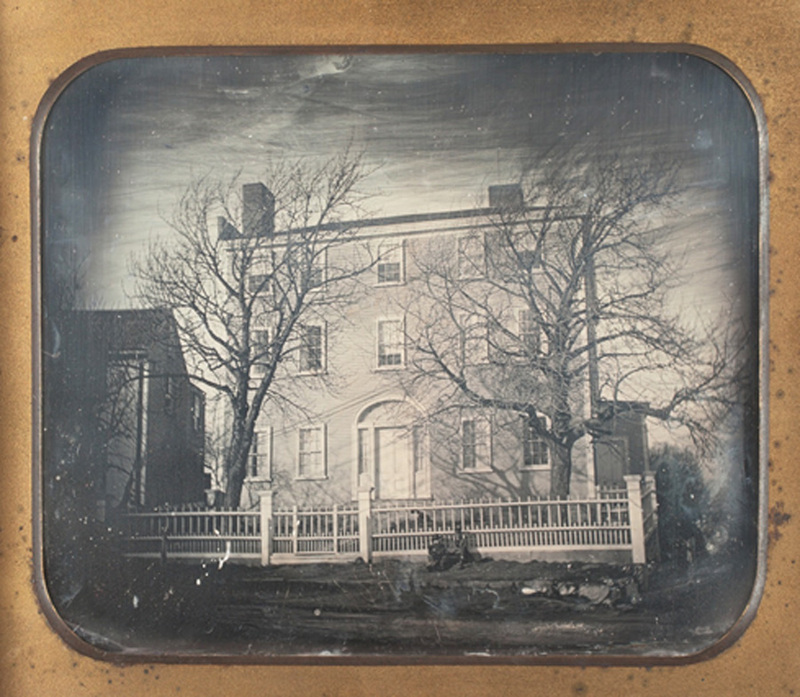 Historic New England’s Library and Archives recently acquired this half-plate daguerreotype of Bispham House, which was on the corner of Washington Street and Dorchester Avenue in the Lower Mills section of Dorchester, Massachusetts. Also called the Village Inn, the house was a landmark in the area. It was illustrated and discussed in The Dorchester Book (1899), and even merited postcard views. Historic New England founder William Sumner Appleton donated a color postcard of the building on February 20, 1911. More recently, Anthony Mitchell Sammarco illustrated the house in his 1995 book on Dorchester, as did Earl Taylor in his 2005 publication. Daguerreotypes taken outdoors are not common. Historic New England owns more than 800 daguerreotypes, of which only thirty are exterior views. We are delighted to add this image to the collection. Explore Historic New England’s collection of daguerreotypes and other photography.